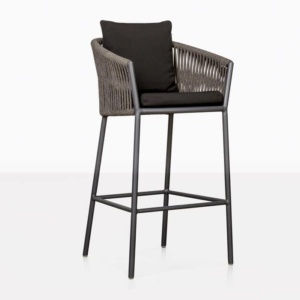 A marriage of art and elegance is held in the excellent Paddington Outdoor Bar Chair from Design Warehouse. 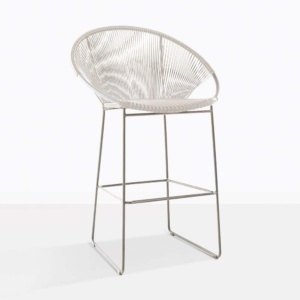 Looking like it wouldn’t be out of place indoors, this state of the art Bar Chair is an incredible piece to add to any outdoor situation. Boasting straight, clean lines and beautiful colour palette, the Paddington Bar Chair is an example of excellent design, superior quality and maximum comfort. Love this chair? We do too, which is why we have a table to match. 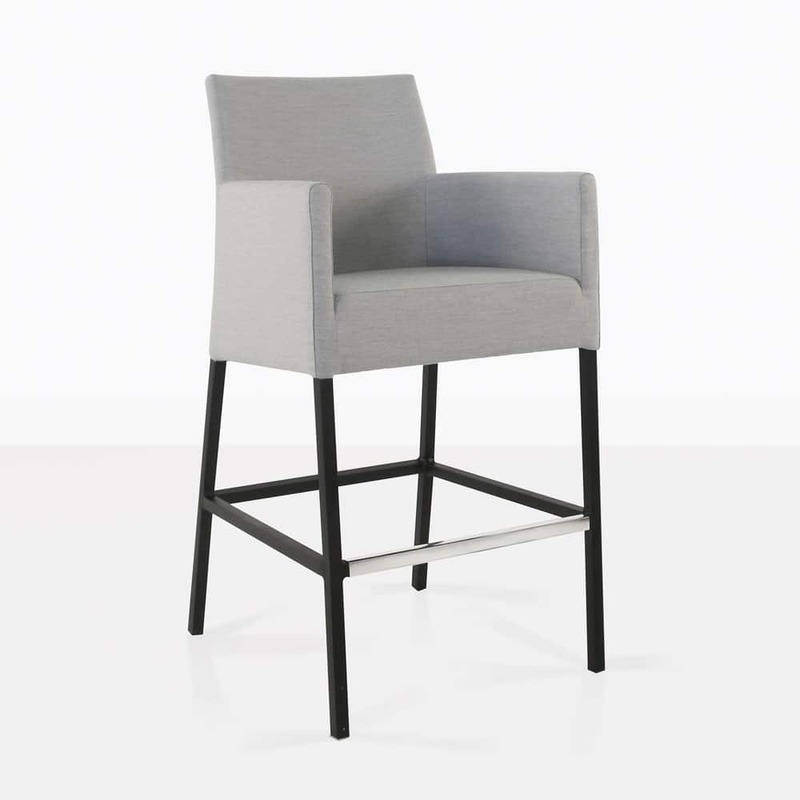 Place 6 of these luxurious, modern Bar Chairs around the incredible Paddington Bar Table for a dramatic and stylish look that you will adore. All you need is some good friends, a bottle of your favourite grape and some gentle music to see the night out in chic comfort. The Paddington Aluminium and Sunbrella Bar Chair is made from the best outdoor materials. The frame is constructed from powder coated black aluminium, which looks chic and protects from erosion. 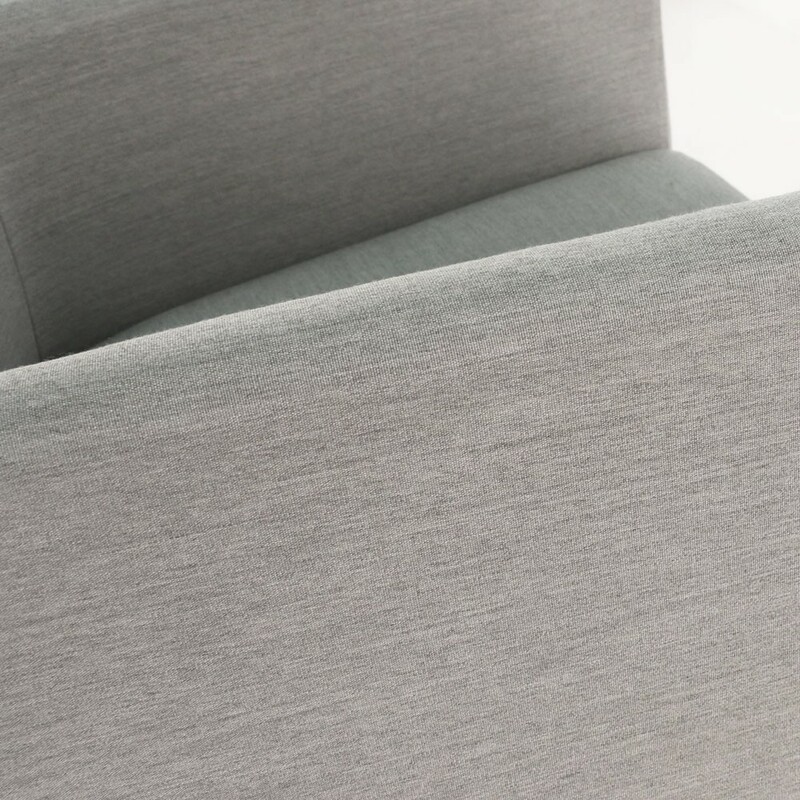 While the seat is a soft grey cushioned piece that, while squared off at the back and arms, is astonishingly comfortable due to the luxurious Sunbrella® fabric filled with marine quality QuickDry® foam. It is these products that make the Paddington Chair outstanding. 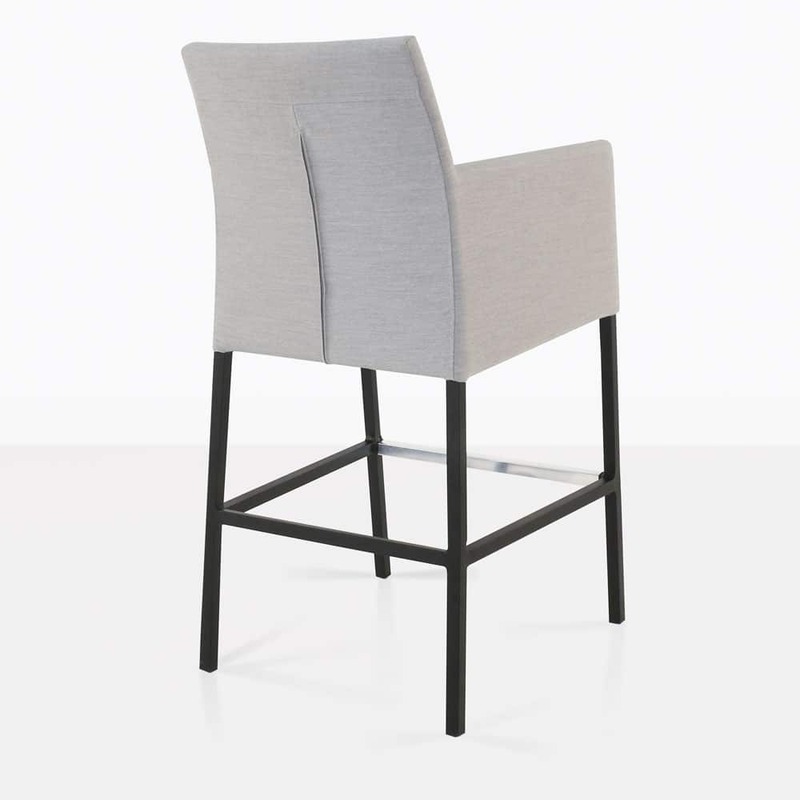 Gone are the days when you would have to bring a cushioned chair indoors after use, this is a stylish and gorgeous piece that will stand up to the weather! 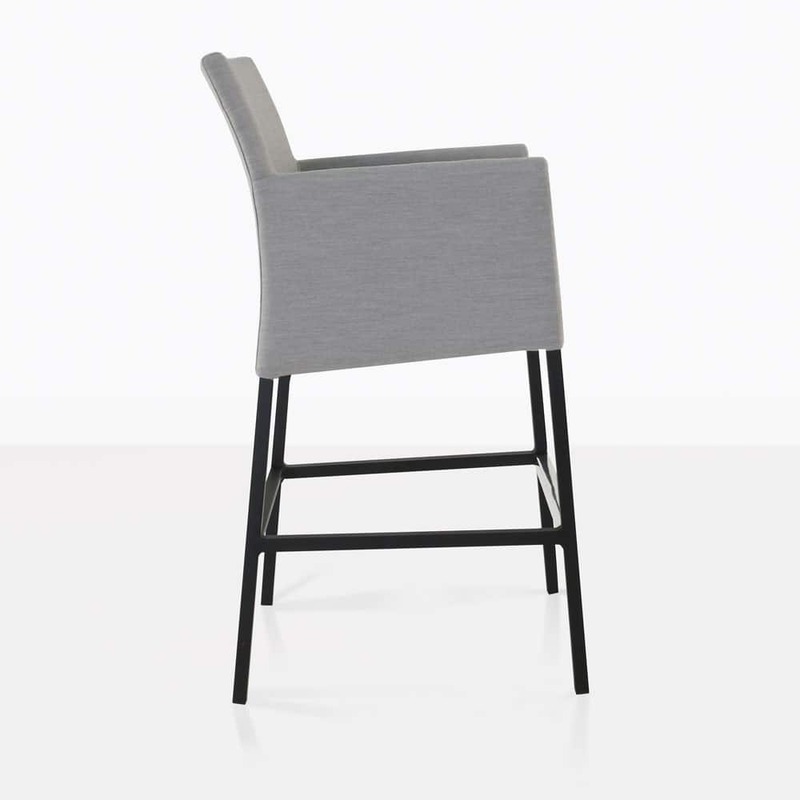 The Paddington Bar Chair is in a league of its own, it suits many spaces with its stylish simplicity. What are you waiting for? Order yours today! Design Warehouse has the most incredible range of outdoor furniture in the Southern Hemisphere! Our showroom is impressive, come in and be delighted by our extraordinary range of classic and modern garden furniture in a variety of styles, materials and sizes. Call us today to discover which options will work best for you in your home!